Home > Blog > Have You Seen Our New Leaflet? Have You Seen Our New Leaflet? We haven’t had a leaflet about ourselves printed very often. In the past as the Crawford Arts Centre, it made good sense to have programme brochures printed up every year and distributed hither and thither. But as we run an entirely different ship nowadays, this one was required mainly due to our brand identity update last year. This new leaflet will hopefully give any reader a clear view of what we do, whether you’re a practising artist or just someone who’s interested in contemporary visual art and craft in some way. It’s not a programme brochure. You won’t find a list of our proposed activities for the next 6 months. 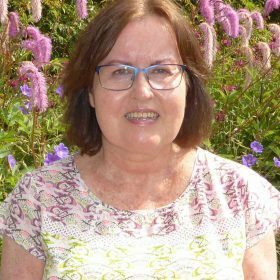 But you will find a page of contact information telling you where to find out what we’re up to – primarily via our Virtual Venue (the website), then social media links, and of course more traditional methods like postal address and phone number. If you take a look at the leaflet, you’ll also find a small map of Fife showing just where we have been active over the last 12 years. Interestingly (or it was for me when creating it! ), it showed that we’d visited more than 40 towns and villages around Fife in that time bringing some form of contemporary visual art and craft experience to them – exhibitions, artist residencies, workshops of many types, school visits, work with community groups – and more. Many we’ve visited multiple times. 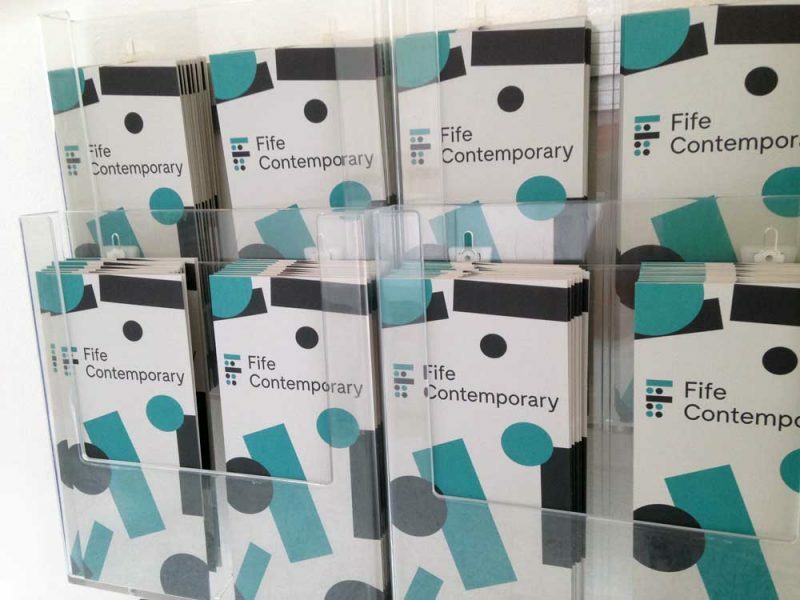 You can find a copy of our leaflet at Fife libraries, Fife Cultural Trust museums & galleries, and many other such venues around Scotland. If you’d like us to send you a copy, just get in touch! Or, you can download a pdf version right here (2.7MB).